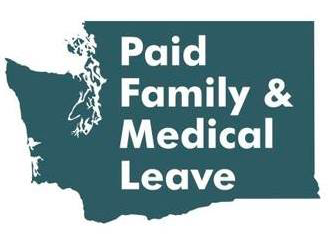 Premium collection for Washington’s new Paid Family and Medical Leave program is set to begin on Jan. 1, 2019. Passed with bipartisan support in the state Legislature in 2017, Paid Family and Medical Leave will provide every eligible employee in Washington paid time to care for themselves or a loved one through serious illness or injury, to bond with a child coming into the family, and for certain military related events. Eligible individuals may file benefit claims starting Jan. 1, 2020. Virtually all employers in Washington must participate, including small, medium and large businesses, non-profits, charities and faith organizations. The premium rate for 2019 is 0.4 percent of an employee’s gross wages. The premium can be shared by the employer (about 37 percent) and employee (about 63 percent). Businesses that average under 50 employees are not required to pay the employer portion of the premium but are still required to collect the employee’s portion or elect to pay that portion on the employee’s behalf. ESD has been providing information to employers, payroll companies, accountants and others throughout the year—and the agency is ramping up frequency of emails and mailers leading up to the January deadline. Employers still have plenty of time to prepare for this new law, and ESD encourages them to download the employer toolkit at paidleave.wa.gov/employers. This toolkit includes premium calculation information, reporting requirements and sample employee communications in multiple languages.